There's nothing quite like a delicious brunch- not quite lunch, not quite breakfast, but a great time to enjoy delicious food with amazing friends! Of course, veteran brunchers know that no brunch is complete without the uniquely amazing combination of chilled OJ and champagne in a glass. Sometimes the title says it all. In Ybor City, Gaspar’s Grotto’s "Booze Cruize Brunch" features what's perhaps Tampa's longest buffet on a bar that's over 50 feet long! Would you expect anything less from Tampa's "Notorious Pirate Bar and Restaurant?" 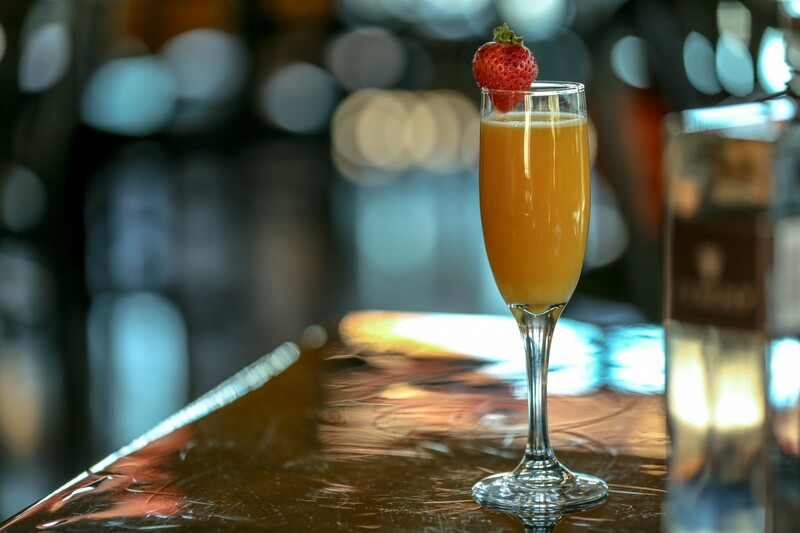 As the Captain's gift to you, Gaspar's Sunday Booze Cruise Brunch features free champagne and mimosas and a 3 oz. carafe of vodka for the Bloody Mary Bar, all for $42.95! Kids 10 and under at $17.95, and kids five and under eat free! The buffet includes a carving station, raw bar, omelet station, pasta station, waffle station, deli platters, smoked salmon, salads, desserts, and a variety of different hot dishes served weekly. In good pirate fashion, Gaspar's Grotto likes to mix things up, so there's always something different each week! From avocado toast to chicken and waffles to churro s'mores, Bulla in South Tampa has something deliciously brunchy for everyone! What's better? You can try three entrees like their avocado toast, chicken and waffles, and churro s'mores as part of their three-course brunch special for only $27! Brunch is every Saturday and Sunday with bottomless mimosas and sangria until 4 p.m.
Yeoman's Cask & Lion's bottomless mimosa special is always available EVERYDAY for $9.95! Better yet, combine the bottomless mimosas with bottomless Bloody Maryss for $13.50 everyday! This offer is good with a purchase of an entree. Known for their Taco Tuesdays, endless drink specials, and as a respite from adulting, Cask Social's weekends are full of mimosa-y goodness! On Saturdays and Sundays from 11 a.m. to 4 p.m., enjoy $20 Bottomless Mimosas (1.5 hr. limit), $20 Bottomless Aperol Spritz (1.5 hr. limit), and $5 Blood Marys. Relax and take in a live DJ spinning tropical house music on Cask's festive outdoor patio. What's not to love about Noble Crust's brunch options? From Deviled Eggs, Ricotta Gnocchi Pancetta, F.G.B.L.T. (fried green tomatoes, Tabasco-honey glazed pork belly, and pimento cheese), Avocado Toast and much more, there's something for even the most eclectic of taste buds. Drink options are as expansive as the brunch menu itself with $8 Bottomless Mimosas leading the way! Near ZooTampa at Lowry Park, c. 1949 is one of Tampa's favorite local Florida craft beer bars. With 40 taps and 100 bottles and cans they also feature hand-selected wines and house-made sangria as well as their famous BBPCo gourmet popcorn and all natural beef jerky. They also often team up with some of Tampa's most delectable food trucks such as Xtreme Tacos, Cuban B's, Whaley's Blazin BBQ, and many more, so be sure to grab a bite to eat! On Sundays from 12-3 p.m., c. 1949 features Bottomless Sundays! Mimosas are bottomless and interchangeable. Sangria and Bloody Marys are just $15. Enjoy your refreshing drink on their spacious and lush tropical outdoor courtyard. Find more restaurants in Tampa by registering on 813area, your free guide to everything in Tampa Bay.